Note: Autobiography of Matt Lucas, the British comedian best-known to Doctor Who fans for playing Nardole, companion to the 12th Doctor. Also available as an audio reading. Hello there. Welcome to the dust jacket of my autobiography. I see they've made my teeth whiter in the photo, so that's good. Throughout this book I talk about my life and work, including Little Britain, Come Fly With Me, Bridesmaids, Les Misérables, Alice In Wonderland and, of course, Shooting Stars. For instance, B is for Baldy! — which is what people used to shout at me in the playground (not much fun), G is for Gay (because I'm an actual real life gay) and T is for the TARDIS (because I'm a companion in Doctor Who now). You get the sort of thing. Anyway I hope you buy it at least twice. Thank you. MATT LUCAS is an award-winning comedian, actor and writer. 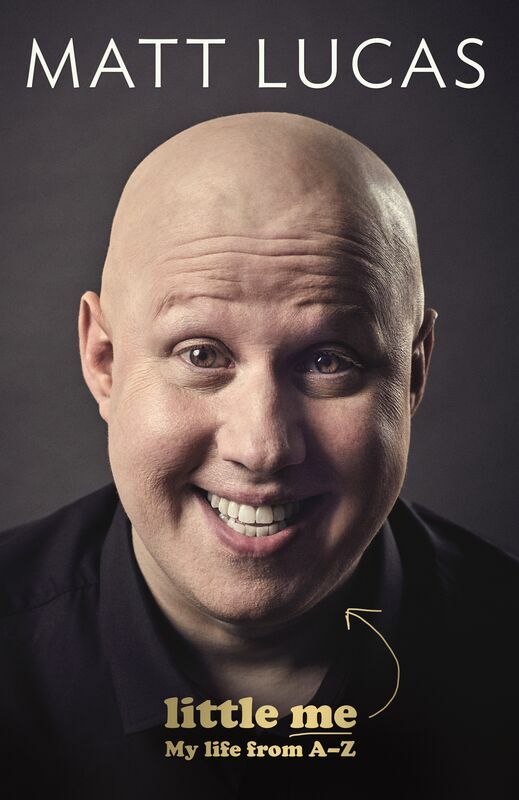 He started his comedy career in the early nineties, working with Vic Reeves and Bob Mortimer on The Smell of Reeves and Mortimer and Shooting Stars, where he played giant baby George Dawes, but discovered major success with co-star David Walliams in Little Britain and Come Fly With Me, for which they won three BAFTAs, three NTAs and two International Emmy Awards. Matt received much praise for his work onstage in Les Misérables and has since gone on to feature in many successful films and TV shows including: Alice in Wonderland, Bridesmaids, The Wind in the Willows, A Midsummer Night's Dream and now Doctor Who. Note: "Export" trade paperback edition, primarily available in UK airport bookshops and in export markets such as Ireland. 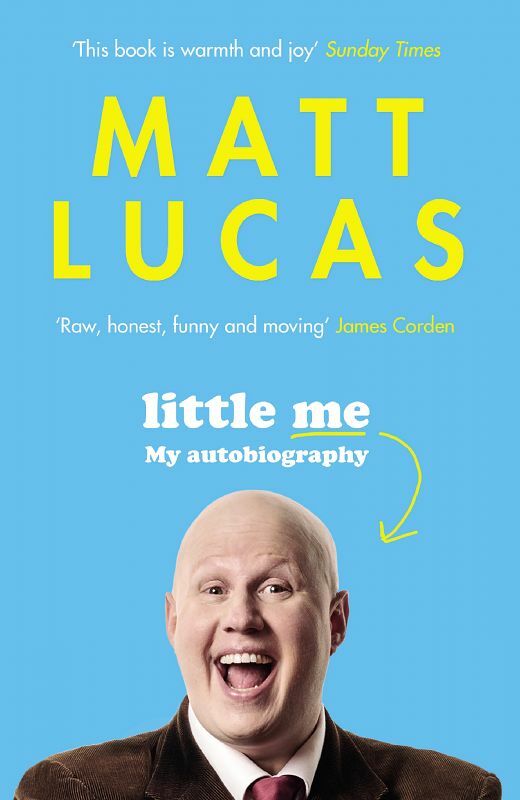 This is the story of little me, from pudgy, awkward child to pudgy, slightly less awkward adult — via school musicals, adolescent angst, stand-up, Shooting Stars, Little Britain, Doctor Who, love, loss, wigs and giant pink babygros. And, in case your attention span is as short as mine, it comes in a handy A to Z format. So B is for Baldy! (yes, people did shout this at me in the playground), G is for Gay (because I'm an actual real life gay) and I is for Idiot (I was born a berk. I probably even stubbed my toe on the way out). 'Even when he's baring his soul, Matt's still hilarious' OK!